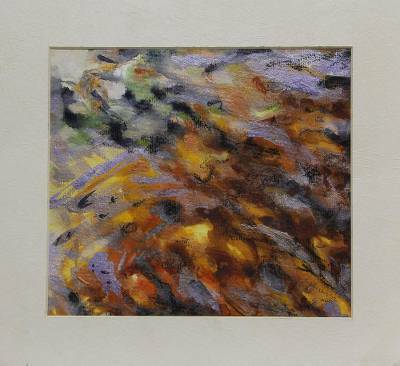 Signed Watercolor and Charcoal Abstract Painting from India, "Reincarnation"
Multicolored abstract forms rush across the paper in this fantastic painting from India. Subhashis Ghosh reflects that there is a bright day after every dark night, and with each generation comes a fresh outlook to further change the world. In this painting, Ghosh uses watercolor and charcoal to visualize the concept of reincarnation, inspired by the way life renews itself. The artist presents his painting in a mat board passe-partout.